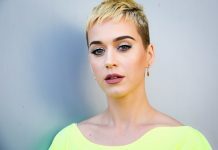 ‘American Idol’ Judges 2018: Katy Perry Roped In; Taylor Hicks Might Be The Next Judge? Fox’s popular singing reality show American Idol is set to return in 2018 with a brand new Season 16 on ABC. A recent update on the show reveals ‘Wide Awake’ singer Katy Perry has been officially roped in to judge the contest. It remains to be seen who’s next to join Perry on the judge’s panel. Perry has been formally announced as the judge on American Idol reboot during a formal presentation Tuesday at Lincoln Center, reported MSN. Her addition on the panel has set the fans buzzing about the reality singing show. American Idol Season 5 winner Taylor Hicks recently teased his potential to be on the panel of judges. When asked if he is joining the panel, he says, “I’ve got some pretty good ideas, we’ll see what happens,” he continues, “I’m just gonna be tight-lipped about everything. I’m not confirming or denying it,” reported Billboard. Getting on board Katy Perry as the judge might be wiser. The singer is going to release her new album after a gap of four years. This album titled ‘Witness’ is set to release on June 9. On the other hand, Hicks has shared his opinion on who should be the judge. He says, “If they were going to have a judge that’s from the show … I would feel like a winner would be the best suited,” as per the aforementioned source. Going by what Hicks prefers, it seems that another reality singing show, The Voice (NBC network) has made a good choice by roping in talented Kelly Clarkson and Jennifer Hudson. Both the singers have been on American Idol, where the former was a winner while the latter was a part of Season 3. Meanwhile, the excitement to watch American Idol back on TV screens (Now on ABC) is increasing among the audience. But the network has to be careful in selecting the judge’s panel. 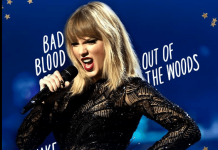 This is mainly because; this reality show has been affected previously by a combination of things, such as ratings, the expensive price tag for the live event that includes roping in popular musical talent at the judges’ table, reported Entertainment Weekly. The exact premiere date for American Idol has not been released yet. Next articleKaty Perry And Calvin Harris Romance Rumors: Is Orlando Bloom Already A Past? Katy Perry And Calvin Harris Romance Rumors: Is Orlando Bloom Already A Past?